Square Enix's latest property is coming to the Nintendo Switch, and it goes by the "working title" Octopath Traveler. From the look of it, it's a classic role-playing game in the vein of games like Final Fantasy, or the game it resembles, SaGa Frontier. Following the Nintendo Direct on Wednesday, a demo was released via the Nintendo Switch eShop of the game, which offers two different paths to explore. There will be 8 characters in all, each fitting into an overarching narrative that will eventually be laced together. 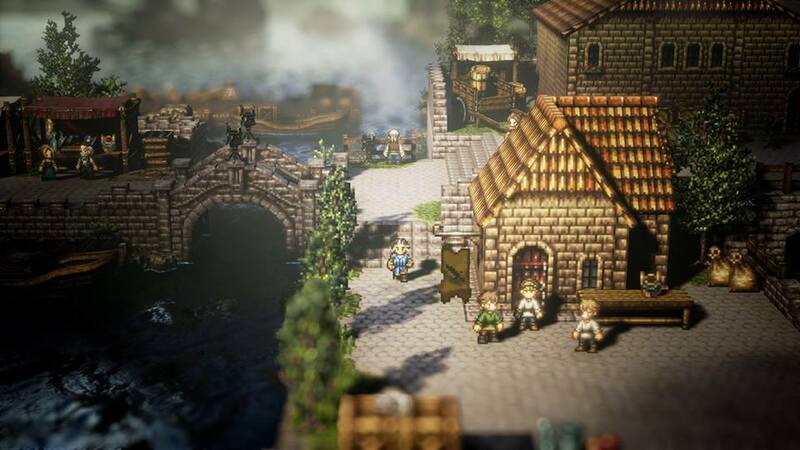 The land of Osterra will be a unique world you traverse with the warrior Olberic or the dancer Primrose, each with their own special abilities they can use to interact with the world in various different ways. The game is still so new that it arguably still hasn't gotten an official name, so the Project Octopath Traveler moniker will likely be changing in the future. It's a bit of a weird decision to put the demo out so early, but then it does offer time for new players to see what they think of the game and implement changes. If you're interested in checking the demo out, log in and search for the game's name or see the "Coming Soon" section to make sure it's there. There are a ton of awesome Nintendo Switch titles already released. Stay on top of the scene by checking out some of the great titles we've featured on our list of the Best Nintendo Switch Games.